God Z.Yun, God M.Chao and God H.Zhong Will Fight for You! 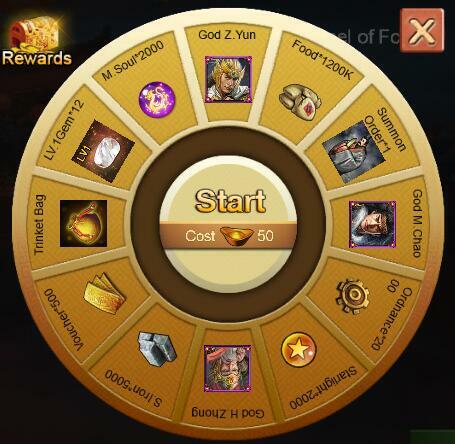 In this event, you can get three God Heroes such as God Z.Yun, God M.Chao, God H.Zhong. This time we have change the Rank Rewards in here, We have add Pearl Case Fragment in Rank Rewards , come on! All the rewards are like at hand and everyone has a chance to own them. When you own with them, you can strengthen heroes more immediately and fight for honor better. Therefore if you are interested in them, please join this event! 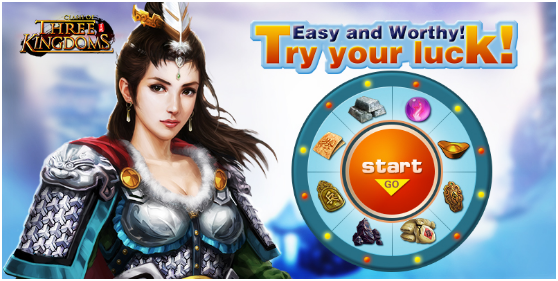 >>Free Chances - Roll the wheel for free. Players will get 1 free chance at 00:00 a.m. every day. >> Claim- claim the rewards you get. Claiming does not cost Gold. >> Rank - Players joining this event will be listed on the Normal rank and receive the ranking rewards after event. Players spending more than 20K Gold in this event will rank the Elite Rank and get a gift pack! 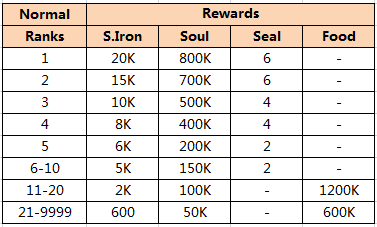 What's more, Top 5 in Elite Rank can all get Hersbit after the event! Top 3 in Elite Rank can all get Pearl Case Fragment. We added Seal in Normal rank rewards, you can use it to get more pieces in Armscraft. And ordnance and starlight have been added to Elite rank rewards, you could use it to become stronger.When Wheel of Fortune is over, the Rank will last half a day.